This week’s SATURDAY SIX covers Top Six Universal Trends We Just Don’t Understand. A little while back we looked at Six Disney Obsessions we had a hard time wrapping our head around, and today we’re going to go across town to look at the Universal Orlando Resort. Now you’ve read Saturday Six articles on Marvel Superhero Island, the Wizarding World, Springfield USA, and many other areas of Universal that we love, but believe it or not, the parks aren’t perfect. Today we are going to look at six things that we think Universal could improve upon. 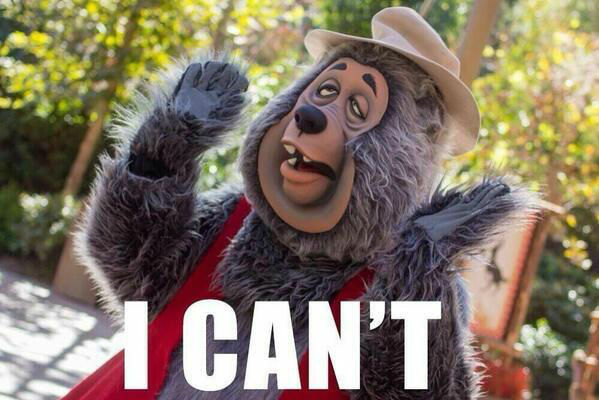 IOA on a night where there was no hard ticket or special event. Some of the “criticisms” of Universal seem to come because we have been so spoiled by Disney. With Extra Magic Hours the parks can be enjoyed very late into the night (if not the early morning). The Magic Kingdom regularly closes at 11PM and is often extending its hours to Midnight or 1AM. 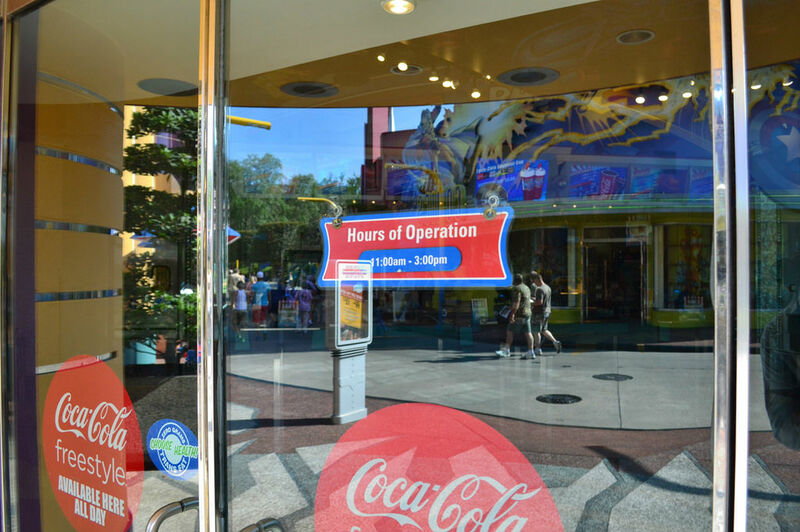 Meanwhile, the Universal parks can be seen closing as early as 6PM or 7PM. Universal has a hard time keeping guests in its parks after dark, a trend it is trying to turn around with elements such as the Cinematic Spectacular nighttime show at Universal Studios Florida. 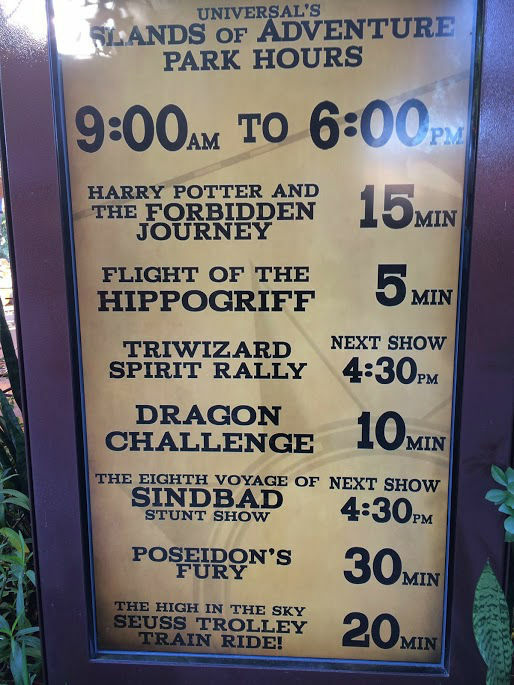 But the fact remains that once 5PM hits, Islands of Adventure starts losing 1-2,000 guests per hour (or more) until closing. This is shame because many attractions and areas in IOA take on a whole new life at night. Hogsmeade Village almost transforms once the sun goes down and somehow becomes even more immersive in the night setting. It just feels right. Coasters such as The Incredible Hulk, Dragon Challenge, and Rip Ride Rockit also seem to have a little bit of extra thrill when you get to ride at night. Captain America Diner, just weeks after the release after the very successful Winter Solider film, still has limited hours. One thing you will notice when you do stay later at Universal is the fact that the restaurants start shutting down pretty early. We love the Cinematic Spectacular show we mentioned before, but we were really surprised that the nearby Fast Food Boulevard shuts down an hour before the nighttime spectacular starts. Venues ranging from grab-and-go ice cream shops like Cathy’s to the critically acclaimed table service restaurant Mythos often operate under hours that would make a banker jealous. The good news is that just steps away in CityWalk are many restaurants open to 11PM or midnight daily. Antojitos, Margaritaville, and the Hard Rock Cafe are three places we highly recommend for any age group, and let’s not forget that the nearby on-site hotels also have restaurants open late. We suggest trying Emeril’s Tchuop Chop at the Royal Pacific, The Kitchen at the Hard Rock Hotel, and Mama Dellas at Portofino Bay. Out of park options are also going to be growing very soon with venues such as The Cowfish, Hot Dog Hall of Fame, and Breadbox opening in CityWalk this summer. First, I want to stress that I understand how valuable guest surveys can be. That said, can we take it down a notch? I have run into many survey people in and outside both Universal parks, and every time I agree to take a survey it invariably takes an extraordinary amount of time, to the point where it makes me look forward to ease and fun of negotiating buying a car from a dealership or taking part in a time share presentation. I’ve seen survey people at Walt Disney World, as well, but not nearly to the degree as an average day at either Universal park. The first survey person will take your basic info and ask just a couple questions, quick and easy. However, then you will be brought to a computer or handed off to a second survey person, and here’s where the questions seem to never stop. You will be asked questions on every part of your Universal experience, including attractions, dining, and retail opportunities. This is a great change express gratitude for Team Members who have gone above and beyond during your park stay, as well to criticize any attraction or show you feel could be improved. If you really enjoyed something in particular, or likewise had a bad experience at some point in your day, I highly recommend taking the time to fill out a survey, as Universal pays great attention to guest reaction. Like park hours, this “problem” is really more of a case of how much guests have become used to the system Disney has in place. 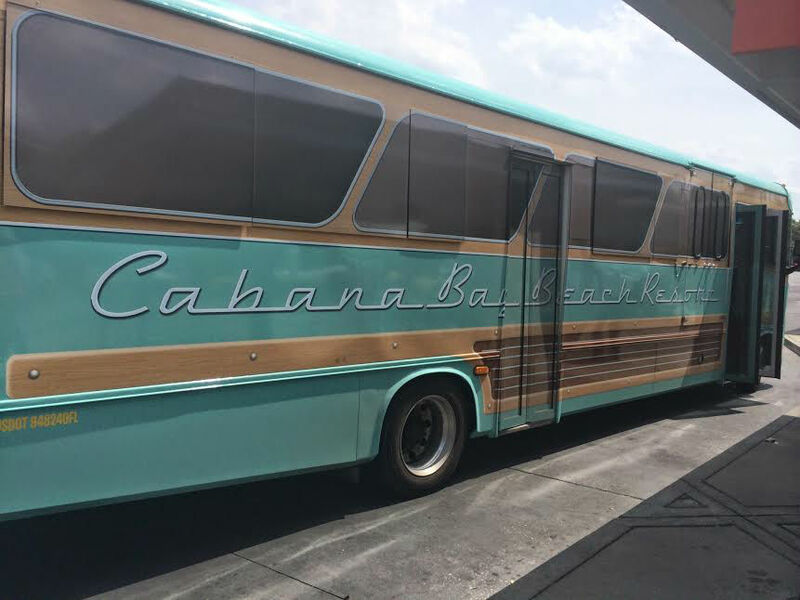 Personally, we at the Saturday Six aren’t a fan of using Disney’s transportation and would always recommend renting a car, even if staying onsite at WDW. However, we can’t deny that there is a large group of people who just don’t want to drive while on vacation or find Disney transportation to be either A) easier, B) cheaper, or C) more convenient than driving themselves around, regardless of how much time they would save. Right now Universal does not offer an easy way for guests to go from the Orlando International Airport straight to the parks and on-site resorts. Granted, it’s not an apples-to-apples comparison since Disney owns its hotels and Loews merely runs the Portofino Bay, Hard Rock Hotel, Royal Pacific, and Cabana Bay resorts, but it would probably be in Universal’s best interest to find a way around this. I would even argue Universal should develop a system where they would pick guests up at the airport and then offer a free trip a Disney or off-site hotel after any two night (or more) stay at Universal. 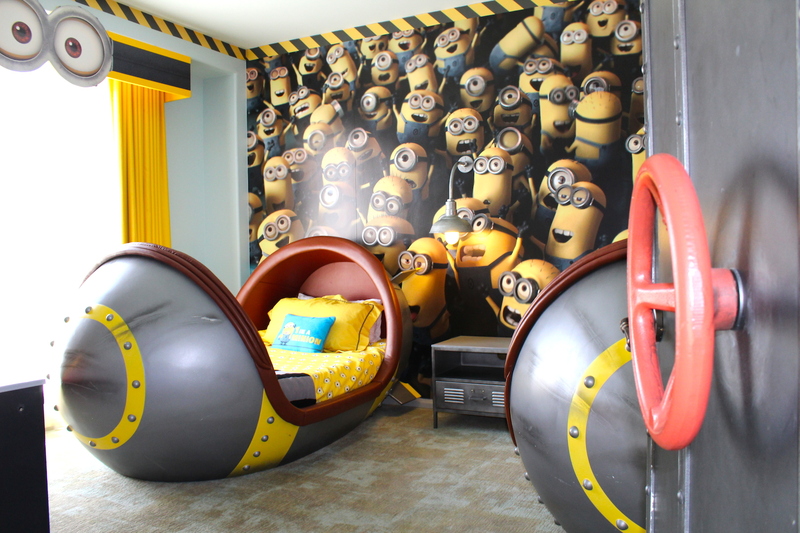 This way Universal could potentially tap into the huge market of guests booking lengthier Disney vacations and – more importantly – get first crack at their wallets when it comes to retail opportunities and dining. Let’s face it, at the beginning of every vacation we all have plenty of money in our pockets, but by the end most of us are making “do I really need that?” decisions. A “free” bus ride could earn the Universal Orlando Resort thousands of dollars per family in ticket, hotel, dining, and retail sales. This one breaks our heart to include because the staff at the Saturday Six are big fans of “games of skill,” but we can’t block our ears to the complaints from many guests, including some of Universal’s biggest fans. Right now Universal has three dedicated areas to carnival games, but that number can increase when events like Halloween Horror Night are taking place. The games between Marvel Island and Toon Lagoon best represent what people don’t like about carnival games in general; they are poorly themed and have prizes that have absolutely nothing to do with either land. The new games in Jurassic Park are a step up – they at least have some theming that separates them from the games you would find at any state fair and include some specific references to the Jurassic Park film series. 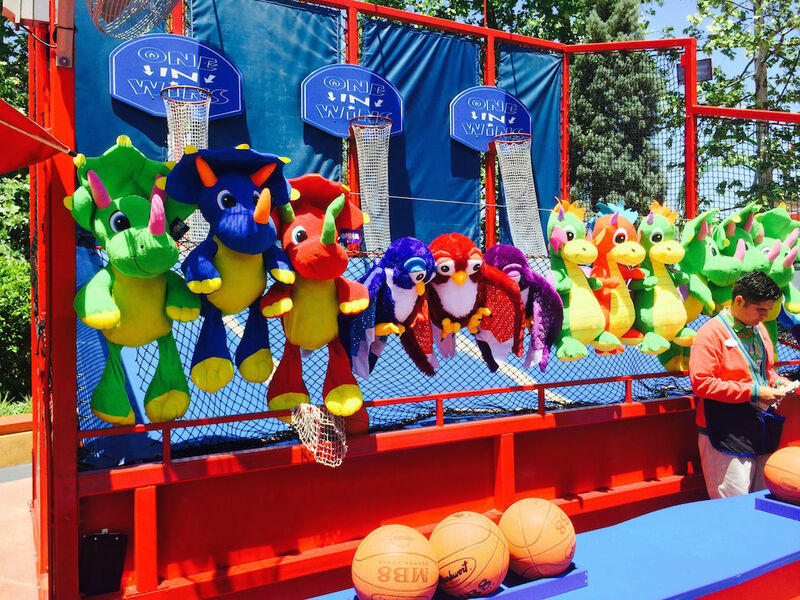 The prizes have also been upgraded to include dinosaur plush animals, although nothing you would ever consider buying at gift shop. Over at Springfield USA you can see an example of exactly how well carnival games can be integrated into a theme park setting. 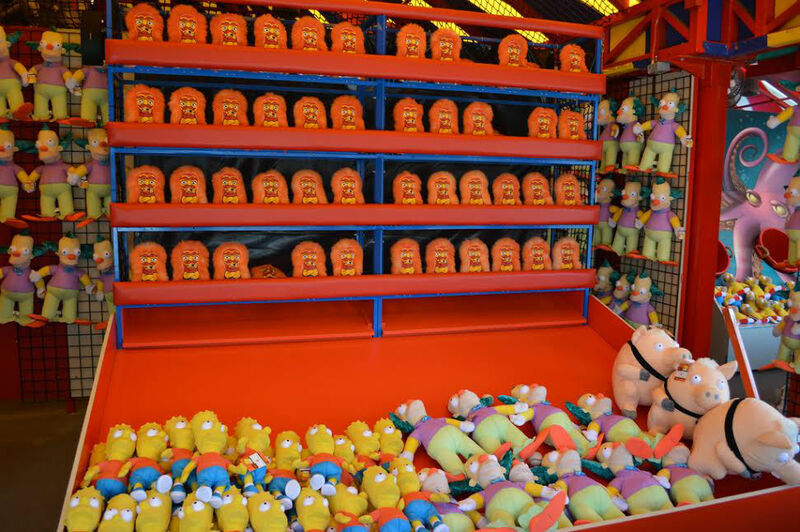 All of the games in front of The Simpsons Ride are perfectly themed, hilarious, and have many prizes that you wish they would sell in the Kwik-E-Mart gift shop. Dancing Homer and Spider-Pig plush, along with Duff Brewery baseball jerseys, are three products that have major appeal to Simpsons fans, and you can’t buy these items in the park. To give credit to the pop up games that came with Halloween Horror Nights last year, the prizes included mummy and vampire themed Minions, an items you couldn’t buy in any store. Unique merchandise goes a long way in taking the sting out of having carnival games in the park. So there you have it: Six Universal Trends We Just Don’t Understand. See you next weekend for the latest edition of the Saturday Six, where we are going to look at some of Universal’s most underrated attractions. If you had fun, be sure to check out The Magic, The Memories, and Merch! articles or, for your listening pleasure, check out Pardon the Pixie Dust podcast. Special thanks to Disney Blogger Extraordinaire Morgan Crutchfield, Seth Kubersky, and Brandon Glover for their assistance with this article. Great article, Derek! (And not just because you used one of my photos). I often get questions about many of these same issues. 6) Universal’s parks are gorgeous at night, and hopefully once Diagon Alley opens they will stay open late more often. Magic Kingdom & Epcot usually have longer hours, but they have double the size and attendance. Animal Kingdom and DHS, which have comparable attendance to Uni’s parks, often close around the same time as Uni (DAK sometimes as early as 5pm). Also, the early closings this month are because of Grad Bash, an after-hours school event that Disney also held until recently. 5) Very fair point, I can’t understand why Mythos’ last seating isn’t at closing time. At least you can always walk to CityWalk, which I guess is the (misguided) intention. 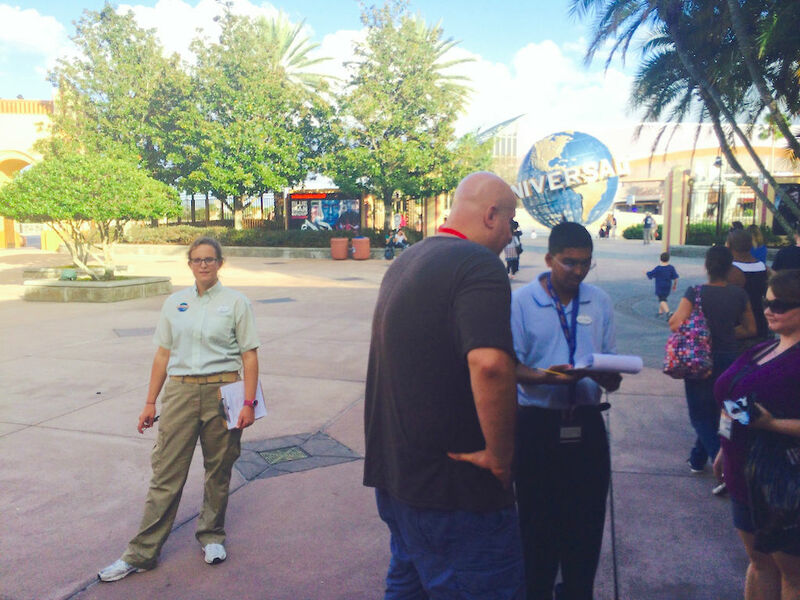 3) The clipboard brigade is sometimes overbearing in IoA, but over the years I’ve been approached by a nearly equal number of survey takers at Disney. At least Uni gives you a seat in an air conditioned room for their longer surveys, I’ve spent ages standing in the sun watching someone tap on a washed-out tablet at WDW. And Disney has never given me a $20 bill for taking a survey, as happens to me a couple times a year at Uni. FYI the best place to take a survey is Disneyland, they let you in a secret room with the park’s original “lost weekend” concept sketch on the wall! 2) I’ll repeat it until I’m blue in the face: Magical Express (like WDW hotel parking) is NOT free, it’s a mandatory hidden cost factored into your room rate. An onsite stay at Uni is almost always less expensive, even accounting for car rental or transfer shuttles. And then you aren’t at the mercy of group transportation that may lose your luggage, or require you to leave for your return flight 4 hours early. As someone who doesn’t use such services, I prefer not to be forced to pay for them, though it would be smart for Uni to partner with some 3rd party to offer transfers at a discounted rate. 1) The Toon Lagoon games need to be burned to the ground and buried with a bulldozer (along with most of the rest of the island). And the new Dino plush in Jurassic Park is still awful. But the games in Springfield really enhance the area’s theme. And Uni’s worst games are still better than the ones in DAK’s Dinorama (some of the worst work ever done by Bob’s Space Racers, who also made the games for DCA’s Paradise Pier). Seth, a poster on Facebook brought up the same comment about the magic shows and here was my response. “I was debating putting in the magic shows as an Honorable Mention. The shows themselves are actually a little fun, but they unfortunately turn into a sales pitch. I say that as someone who was so impressed by some of the products I actually bought one (and it worked spectacularly) but I’m not sure I would partake in one again.” I bought the fire wallet and it was worth every penny, but again, not sure the shows as constructed belong in the parks. Whac-a-Loki = best idea ever!!!! What???? “Spoiled by Disney”??? This is so far against type that I cannot believe it isn’t the result (yes – a double negative) of some Edward Snowden/ Wikileak/ Julian Assange type of infiltration of the REAL Derek Burgan’s online profile. Wow. No airport transfers to Universal Hotels? I did not know that. That could be a deal breaker for me. I am planning a long term Disney vacation and want to go to Universal. Paying a very large Taxi fee is not in the cards. Back to the drawing board. There are all sorts of UOR transfers – the cost is just not included in your package. Most of these you need to book by calling UOR directly or talking with a travel agent (in an effort towards full disclosure, I’m a travel agent). There’s a roundtrip Orlando airport to UOR for between $32-$37 per adult. You can include this in a UOR vacation package if you want to make it simple. Then there’s a one-day Disney hotel to Universal roundtrip transfer that you can purchase along with your Universal admission. The transfer portion is about $40 roundtrip per adult(on top of the ticket price). And finally – this is new this year – there is a transfer option for trips that include both Disney and Universal stays. This one picks you up at the airport, takes you to a Universal on-site hotel; comes back to pick you up to take you to your Disney hotel where you can then take Magical Express back to the airport. It also works in reverse if you want to visit Disney first. The cost for this “Take Two” transfer is $39 per adult and $29 per child (3-9). My son (aged 8) loves carnival games. We are going to Universal next month and I know he will be begging to play them. So they have 1 fan. 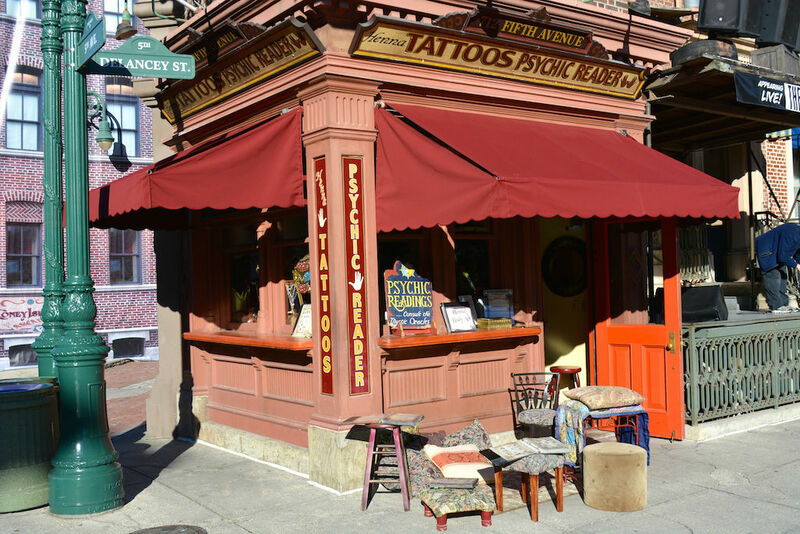 It seems like the common thread for a lot of these is sloppy theming. Carnival games work well in areas where kitsch is a theme (along with Springfield, I don’t think they detract from Dinoland USA in Animal Kingdom). 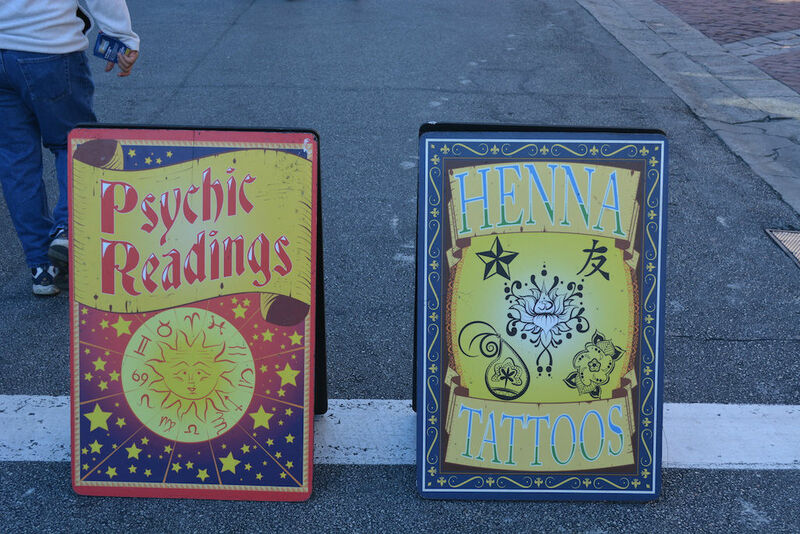 I’m not going to go to the psychics, but I don’t think they detract from mystical-themed areas. I don’t even mind survey-takers when they’re in a general-theme-park area like the port of entry. But put any of them in the wrong spot, and they detract from the entire park experience.